Every Monday in January I will share some of my frugal living tips. I’ve always been a practical and frugal person because I was a single parent and basically had to be. Here are some of the ways I follow the 4R’s…. I REUSE tea bags….I love drinking tea, so I always have access to tea bags that can be reused. Put used tea bags into a pitcher of water. 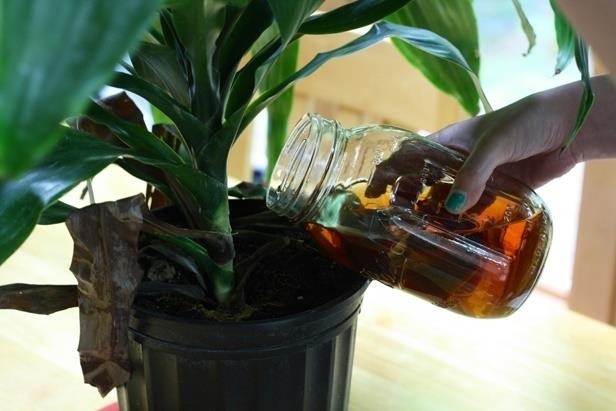 Water your plants with tea-steeped water. Tea leaves are packed with nutrients and plants just seem to love tea, especially roses. Sprinkle tea leaves into the litter box. Cut them open and put the used and cooled tea leaves into the litter box. The odor absorbing properties of tea will keep things smelling fresher longer. No need to buy a product to do this for you when you can reuse your tea leaves and save some money. Don’t throw out your apple peels!!! We had an abundance of apples from our one little apple tree this year and spent a weekend making apple sauce, apple butter and apple pie filling. With all those apples we had a ton of apple peels and it bothered me to think about throwing them all away. Did you know that apple peels can be used to remove stains from aluminum pots and pans. Add some water to the peels in the pot or pan and simmer for roughly 30 minutes. It’s amazing how it works! Make your house smell like fresh baked apple pie by simmering the peels on the stove with a little water and a cinnamon stick, add more water as needed. If you have the room in your freezer the peels can be frozen and then simmered when you are ready to enjoy their fruity scent, like at Christmas!! 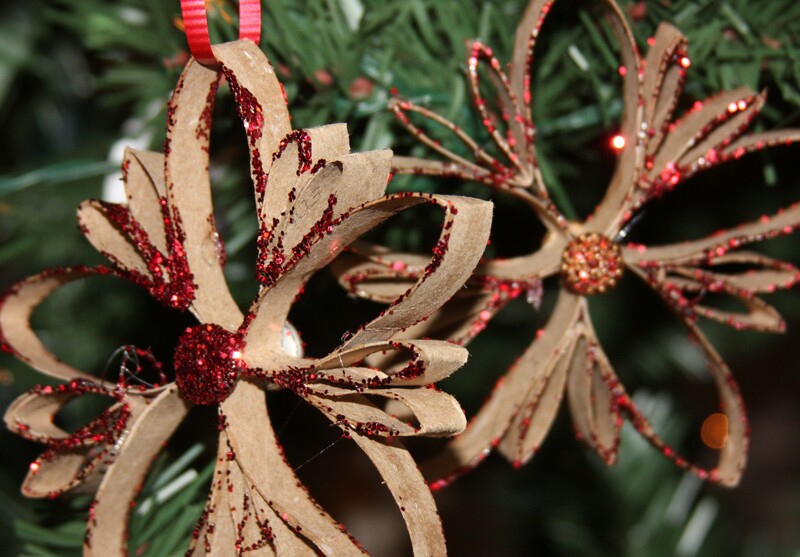 Toilet Tissue Tubes – for anyone that followed my 12 days of Christmas decorating challenge you have seen the tree ornaments I made with recycled toilet tissue tubes. I also used them this Christmas as a way to give the gift of money to some special folks in my life. I wanted it to be just a little bit more creative than just putting the money in a card. 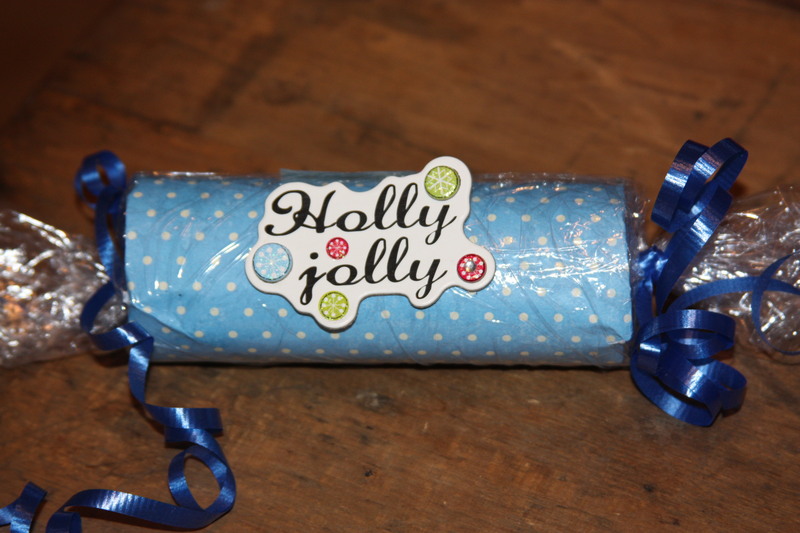 A wee bit of scrapbook paper, ribbon, saran wrap, a tag and Voila! This entry was posted in DIY and tagged Apples, canning, cheap, Christmas, Crafts, DIY, Food, freeze, fresh, litter, living, recycle, reduce, repurpose, reuse, simple, teabags. Bookmark the permalink. that is an excellent tip – thanks!! Love the tea leaves in the litter box and I am going to try that one tonight. I also recommend supplementing wood stove creosote build up with burning the leftover potato peels. This doesn’t replace a good thorough cleaning with the appropriate methods, but it does help with the build up inbetween.